Welcome, Otjinuke Hunting Ranch is the ideal location for your first or next trophy hunting adventure. Our beautiful African location, and competitive pricing make us next to none when it comes to big game safaris in Namibia, Africa. 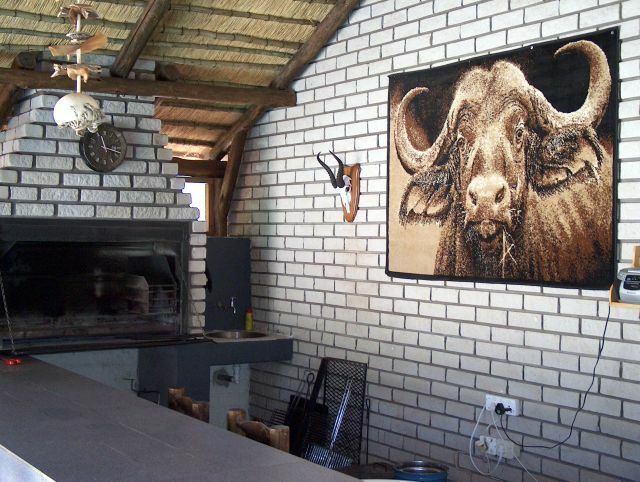 The Otjinuke Hunting Ranch is situated 70km North East of Okahandja and 180km from the Hosea Kutako International Airport near Windhoek in Namibia, Southern Africa. It is part of the Ombotozu Conservancy which stretches over 400,000 ha of land. The diversity of species and abundance of game promise an unforgettable hunting experience in this appealing Acacia (thorn bush) savanna. 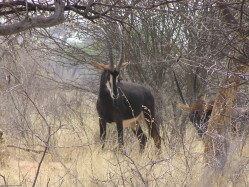 Eland, Greater Kudu, Oryx, Steenbok, Duiker, Red Hartebeest, Warthog, Blesbok, Springbok, Burchell’s and Hartmann Zebra, Black and Blue Wildebeest, Impala and Springbuck can be hunted. Game is hunted by vehicle or by foot and always accompanied by a guide. Hides are available for bow-hunters and offer additional possibilities to spot game. Rifles can be rented. Hunters must bring their own binoculars, photographic equipment, knife, hat, sun block and warm clothing for those occasionally cooler evenings. Guests are served mouth watering African cuisine in our spacious dining area. The guesthouse consists of three double rooms, each with their own bathrooms. Our second guesthouse has three double rooms. Up to 6 people can be accommodated, but to guarantee our guests personal attention, only one hunting group at a time is allowed. For your entertainment, there is a barbeque and a swimming pool available. 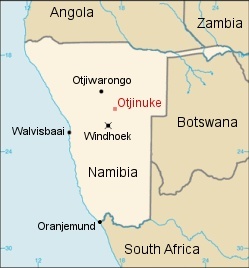 © 2001-2018 Otjinuke Hunting Ranch, Namibia. All rights reserved.